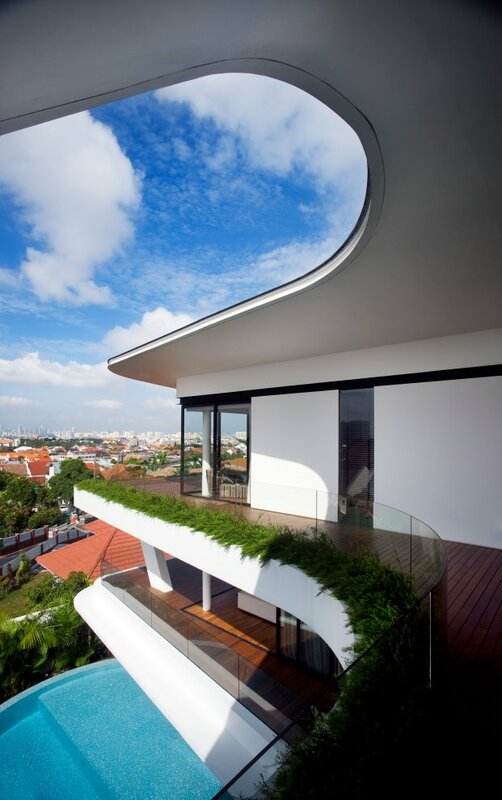 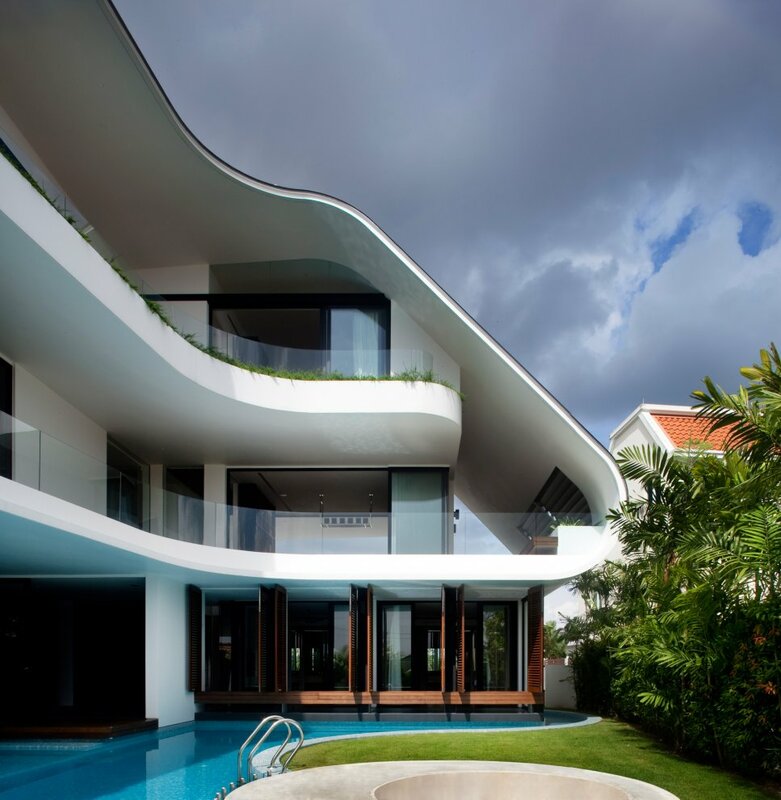 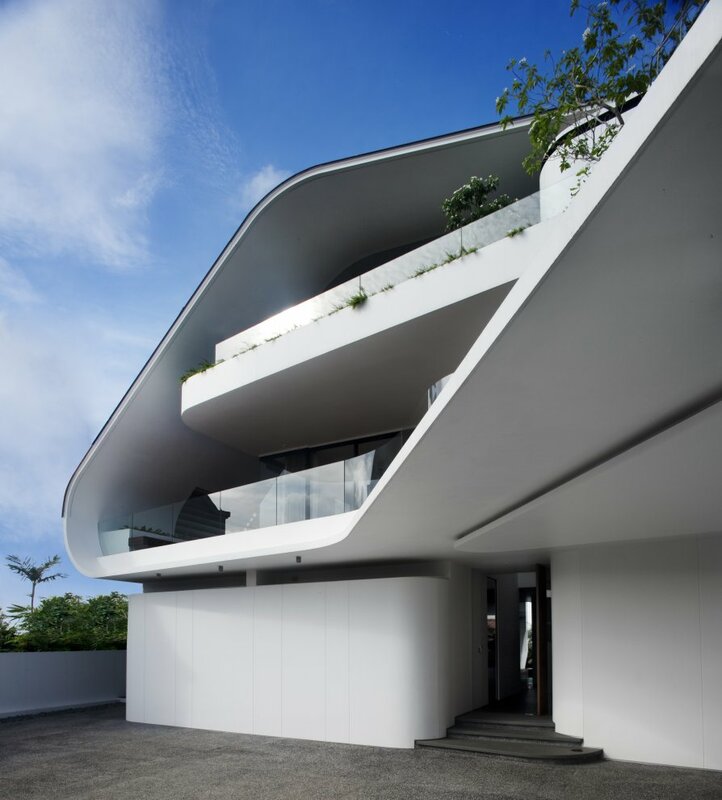 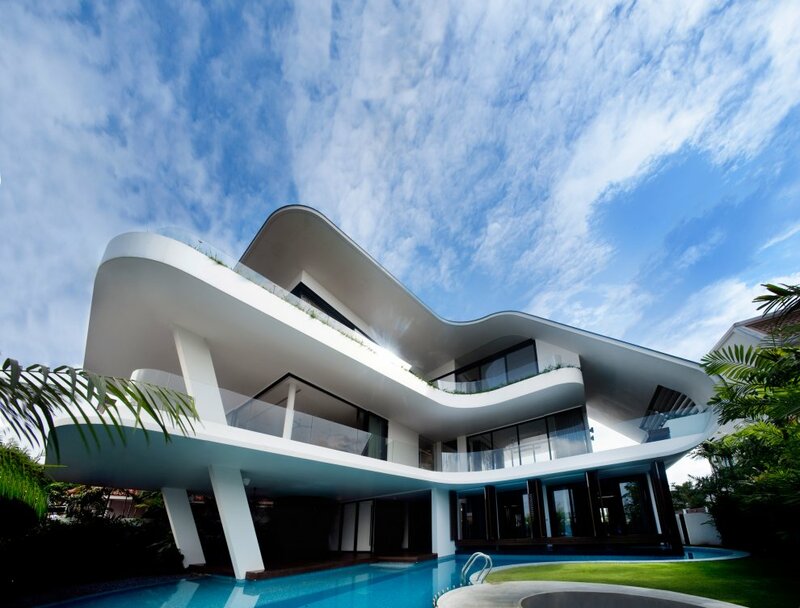 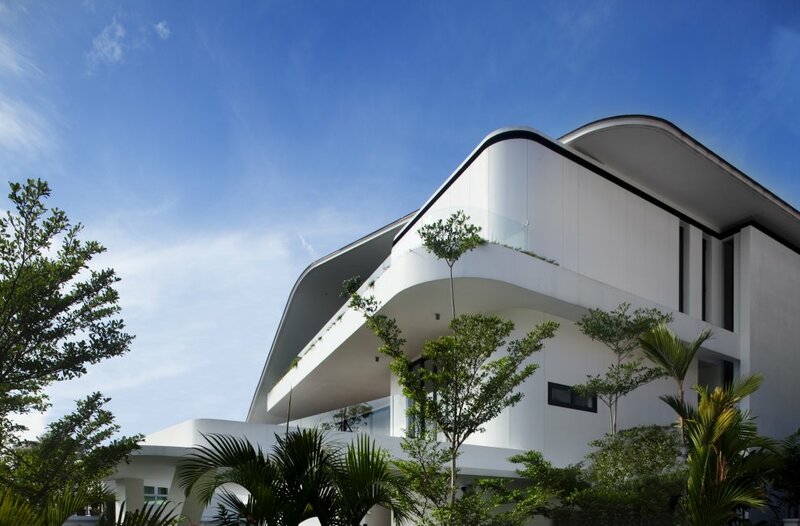 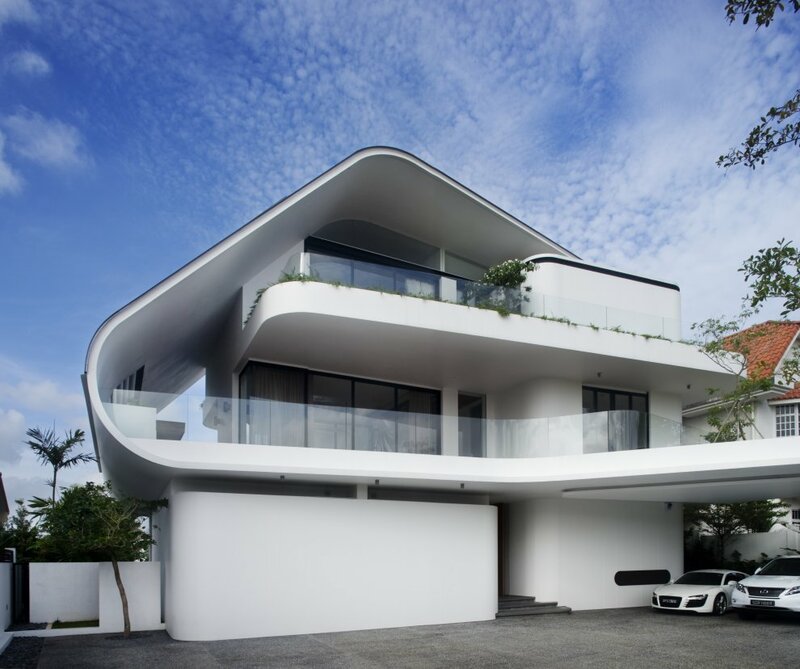 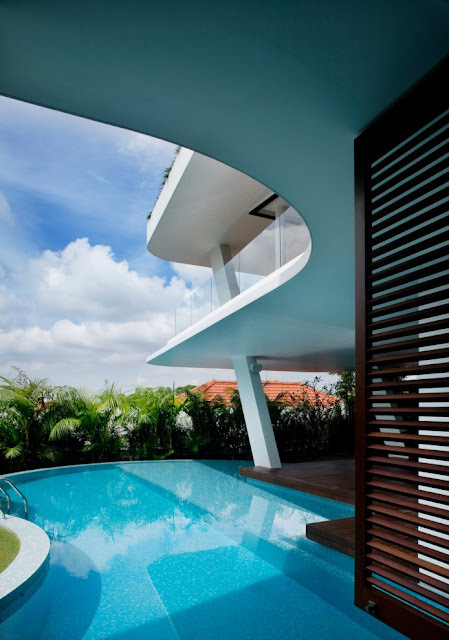 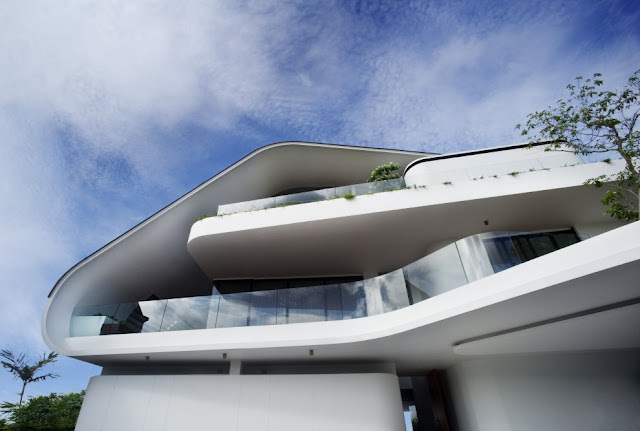 Amazing views towards the Singapore city from Siglap Hill inspired this beautiful home design. 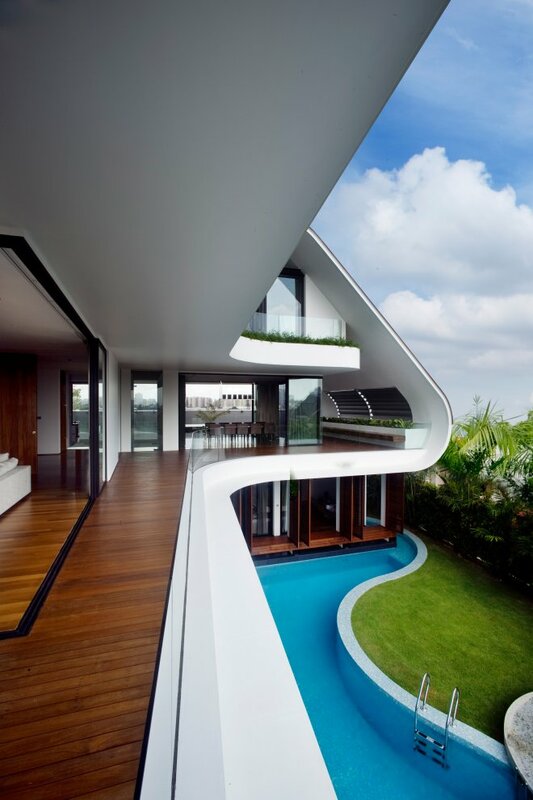 Family and master spaces are placed on the third level which has the most magnificent views. 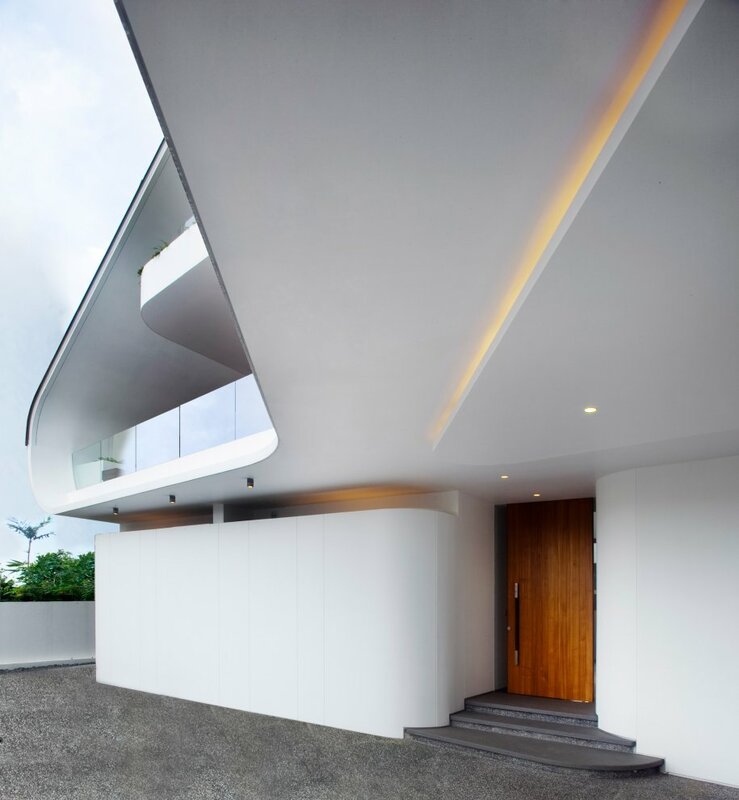 Dining and living rooms are situated on the second level, connected with terraces and verandahs that flow upwards and fold into the home's roof form with deep roof overhangs for efficient sun shade and channeling the fresh breeze through the whole space in the house.